The Countries Finance Minister Arun Jaitley had announced the launch of two new national schemes under the Ayushman Bharat program in 2018. As per the updates, the two new schemes were termed as the NHPS (National Health protection Scheme) and Wellness and Health center establishment scheme. A notification was officially introduced by the FM himself and Central government regarding the implementation of the schemes nationwide. On a national platform, the two scheme under Ayushman Bharat program has been officially announced to be implemented by the central government on 15th August 2018. The scheme will also be officially rolled out for offering benefit to unlimited hospital and health centers. With the final stages of the program already ready for implementation, the program will be introduced for offering an advantage to all individuals within the country. The benefit will be offered in the form of a cashless transaction facility. One major need for implementing the above mentioned Ayushman Bharat program is to offer assistance to the deserving individuals so they get full advantage of health care centers and hospital facilities for undergoing treatment procedures. As a part of the program, it is also obvious that the patients are free at their will to seek benefit from any of the listed hospital and health care centers nationwide registered under the schemes. The benefit can be availed in the government-owned and private hospitals such that more number of patients and deserving individuals can get times health care benefits without worrying about making payments in cash prior to the treatment. The government has also mentioned that the need of the Ayushman Bharat program becomes more important as it is important for each individual within the country to maintain perfect health on time and available best treatment. This will offer with advantage where people who are not having access to better medical treatments and facilities will not be able to opt for treatment under the program. All individuals who are registered under the program will now be able to seek medical assistance from any top rated private or government hospitals and healthcare centers without inconvenience for making the payments well in advance. The need for the program for implementation is also important after looking into the increasing cost of medical facilities and treatments nationwide which is not beneficial to poor people. The main objective of the implementation of the Ayushman Bharat program is that the schemes under this program are designed to offer poor and needy people with wellness and healthcare facilities. Under the program, it is obvious the Health Ministry and the Central government aims at offering with improved health benefits to the people belonging to the below economic groups of the country. Under the program, the central government also aims at developing and establishing a number of wellness centers and health centers nationwide within approachable distance for the poor people. This will thus eliminate the need for people to travel to far off land to seek medical assistance. One of the major challenges that the central government and health departments will face at the time of implementation of the Ayushman Bharat Program is that they will have to focus on offering coverage for health benefits to over 100 million economically deprived families nationwide. Thus it means that they will have to focus on covering a big mass of population within the country. The next challenge that the central government will face is the issue related to making the funds available for covering such big mass of people. The central government has already declared that the people will have to pay a lower premium of Rs 2000 annually while all other cost for facilities will be borne by State government (40 percent) and Central government (60 percent). Under the program, it is also obvious that the central government will be paying a coverage of insurance equivalent to Rs 5 lakh annually. The benefit under the Ayushman Bharat Program will be offered in the form of two major schemes implemented in the healthcare sectors. Wellness and Health Centers – Under this program one of the major benefits is that the central government will focus on establishing health and wellness centers across the country. The centers will offer with medical assistance to the poor people for free of cost under the program including diagnostic services and medications. 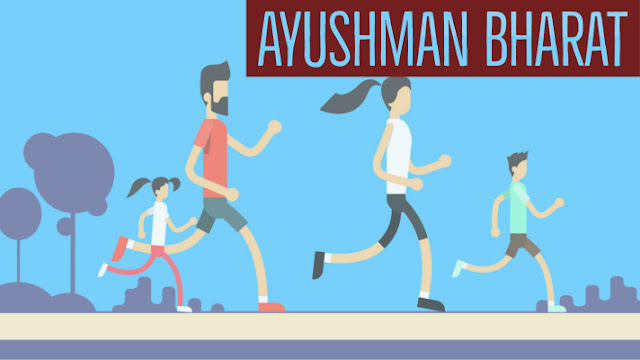 Health protection benefits – The Ayushman Bharat program also focuses on offering with Health protection scheme for over 10 crore economically poor families nationwide. It is expected that more than 50 crore beneficiaries will be able to take advantage of this implementation. The medical coverage benefits and insurance coverage will be offered to over 5 lakh individuals every year making this as the biggest global implementation. Just like its benefits, there may be certain drawbacks that the central government might have to face when implementing the program. One major drawback is the monitoring of the program after it has been implemented as the coverage is on a vast mass of people. The government will also have to ensure that each beneficiary gets the advantage on fair basis. Apart from this, the government will also ensure that the funds are provided and raised by both state and the central government in 40 : 60 ratio for implementation of the scheme in each state. The Ayushman Bharat Program is the biggest program so far run and operated by any government on the global platform. It is obvious that after implementation the benefits will be unlimited for poor people. The process of implementation has to be monitored at both states as well as the central level to ensure that the program is implemented perfectly.